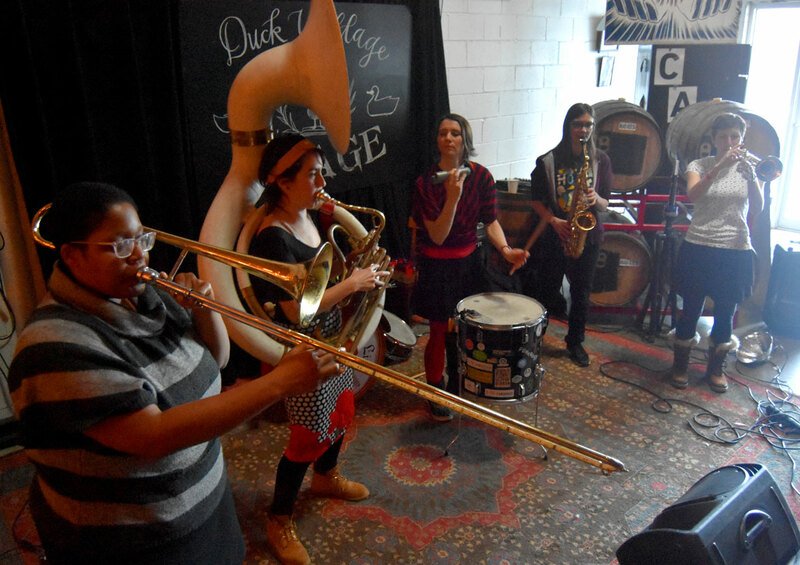 Organizers of the annual Honk! 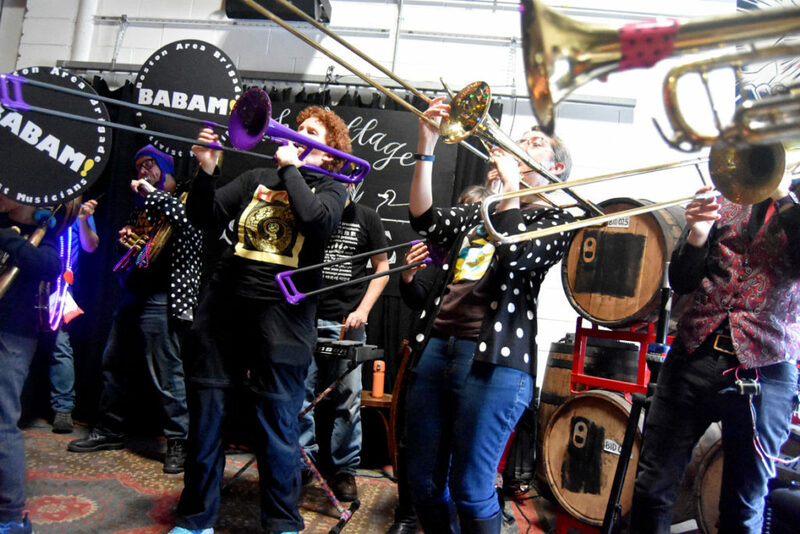 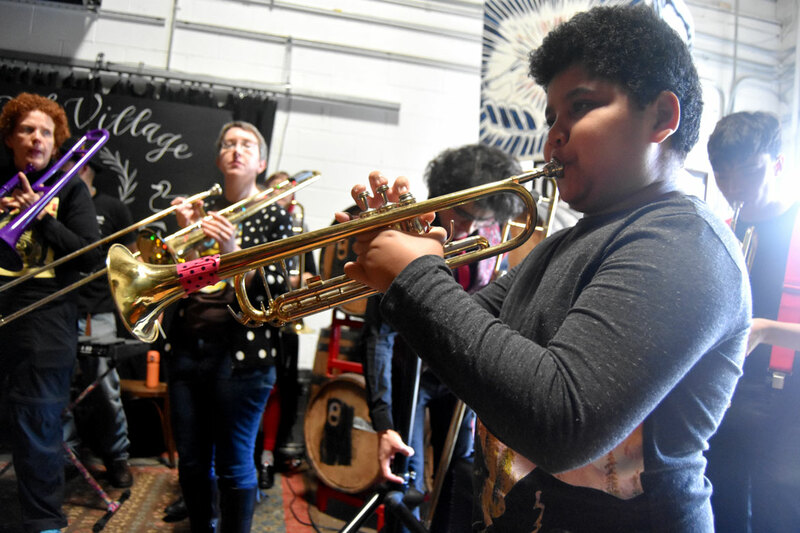 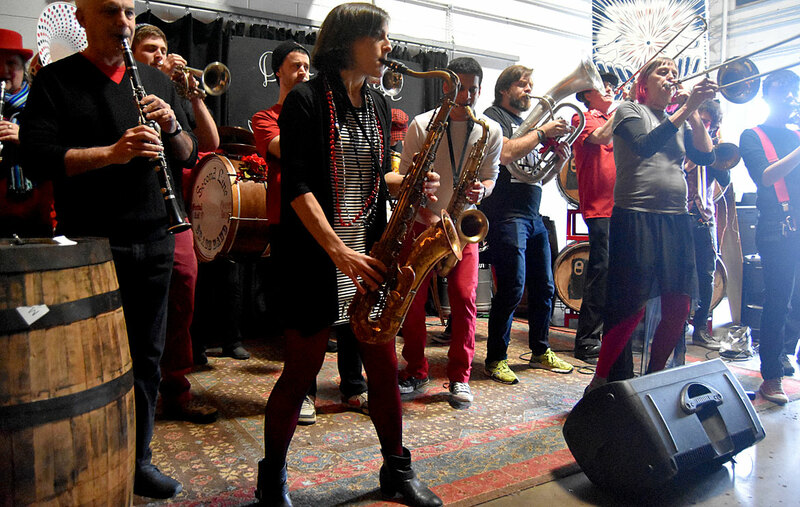 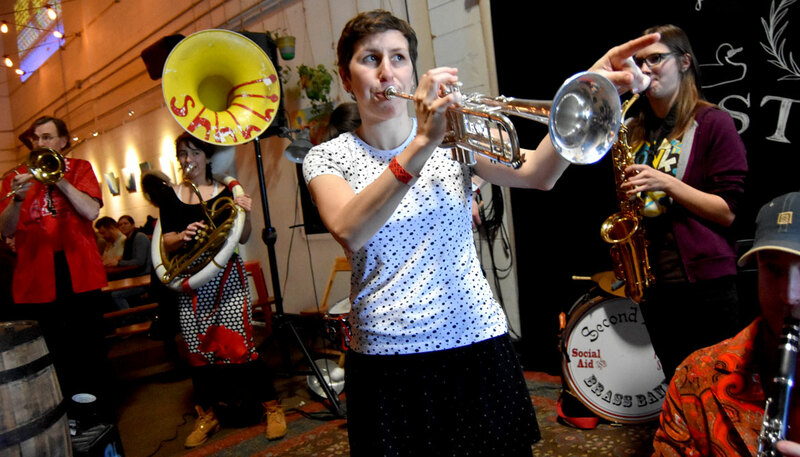 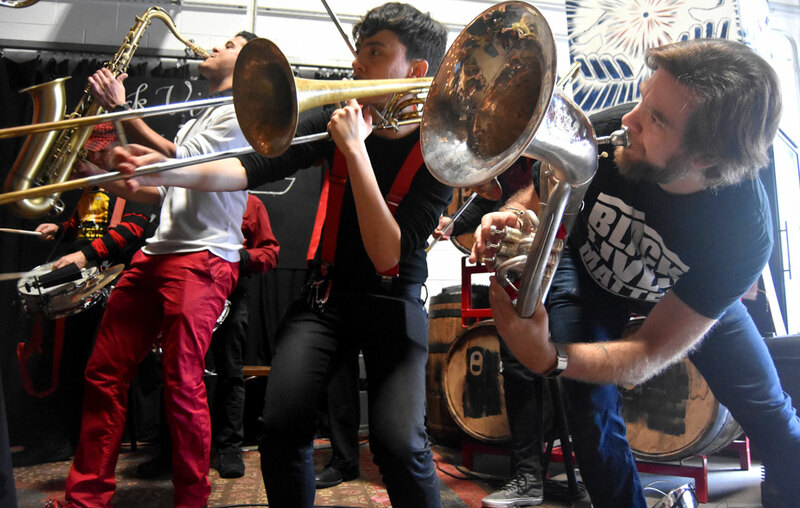 Festival of activist street bands had a handful of bands perform at Aeronaut in Somerville yesterday to celebrate festival volunteers and recruit more. 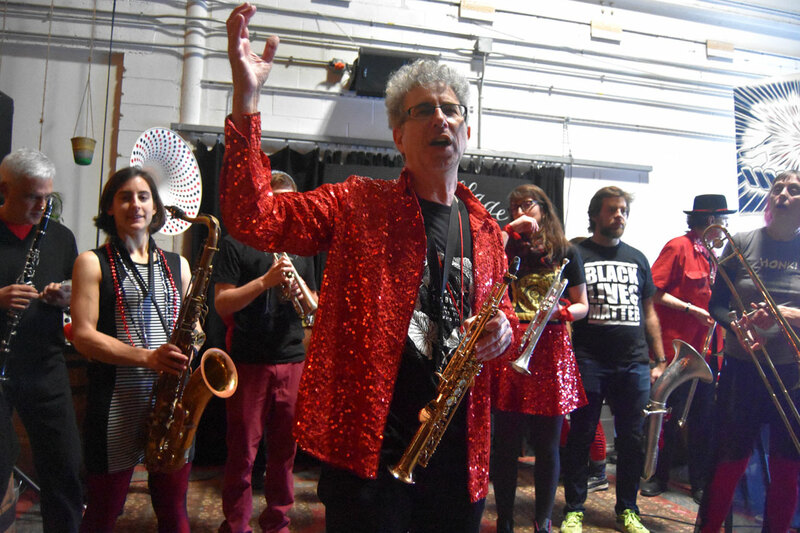 Photos copyright 2018 Greg Cook. 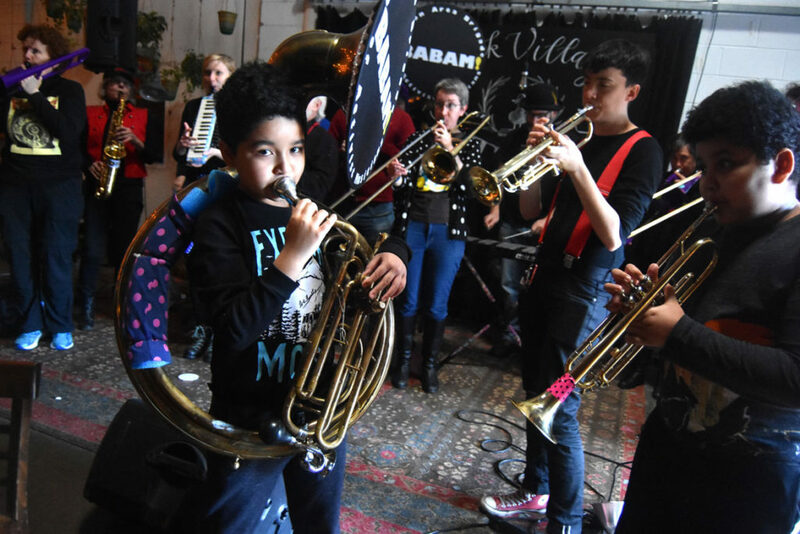 Help Wonderland keep producing our great coverage of local arts, cultures and activism by contributing to Wonderland on Patreon. 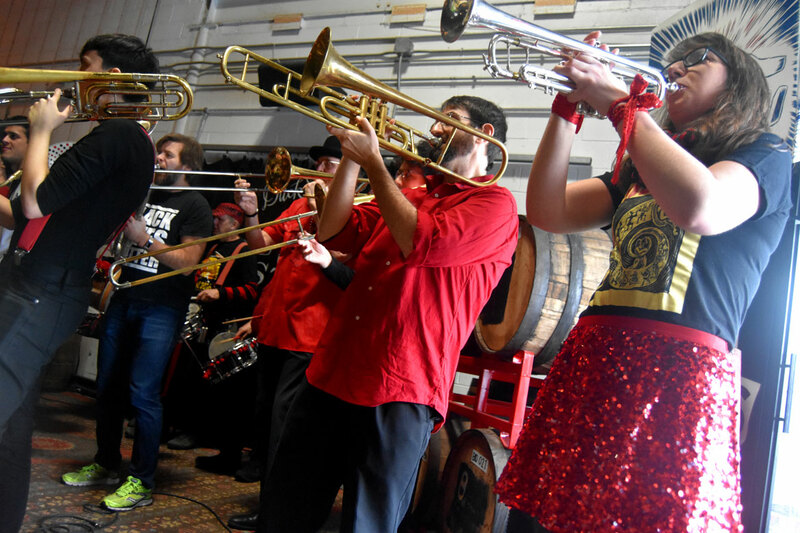 And sign up for our free, weekly newsletter so that you don’t miss any of our reporting.